I ask Chris what toys he hopes to see this weekend. 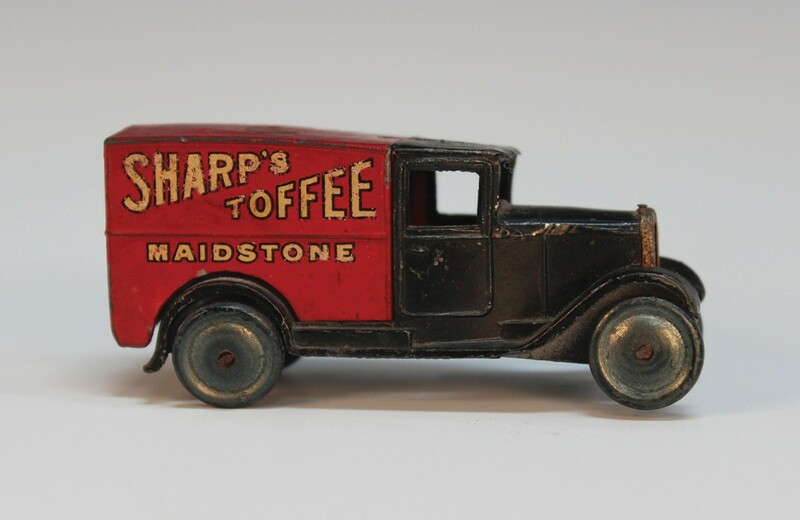 He replies “I’ve discovered some fine toys at these Horsham Museum valuation events like the Steiff teddy bear which Toovey’s sold for £1800!” He pauses and continues “We have had a number of exceptional Bassett-Lowke toy models come to auction recently.” Bassett-Lowke were toy retailers from the late 19th to the mid-20th century. Their knowledge of British railway design and influence over the market was huge. They often commissioned these toys from German manufacturers like Märklin. Chris comments “These models were wonderful in their proportion and expensive so they were usually looked after. Condition and originality is really important to today’s collector but even playworn examples fetch a good price. 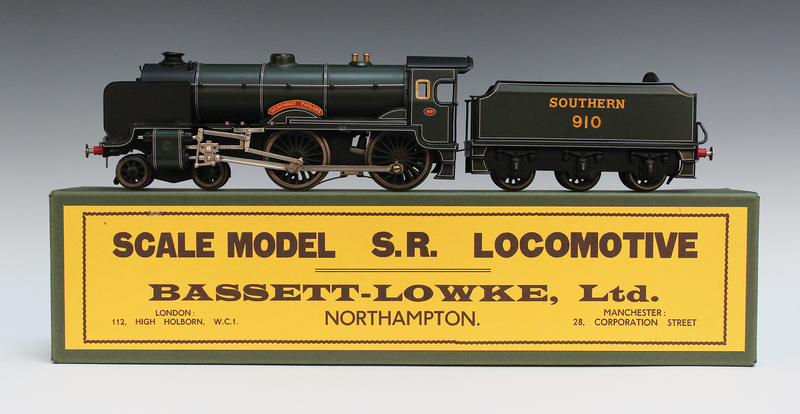 A toy’s box and packaging will also have a positive effect on value.” The Bassett-Lowke O gauge electric train shown here in Southern livery was manufactured by Märklin. It came with a reproduction box and realised £460. Chris explains that although Bassett-Lowke is famous for the toy trains it commissioned and made it also produced battleships and model boats. The Bassett-Lowke live steam model ‘Fast Motor Boat Streamlinia’ had a wooden deck, cream painted superstructure and hull with brass fixings and working rudder. Measuring 100cm in length and complete with its original box it made £1800. 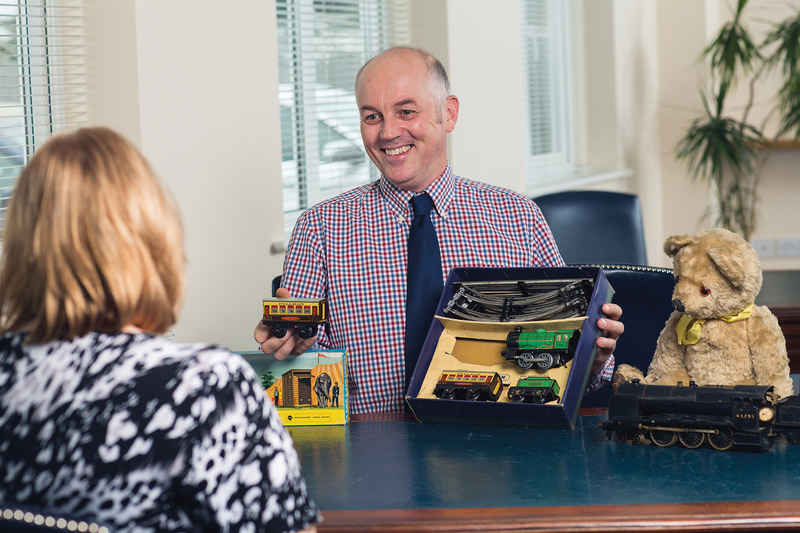 Bring your toy trains, cars, teddy bears, dolls and collectors’ toys and come to play with toys specialist Chris Gale between 10am and 12noon this Saturday, 21st May 2016, for a morning of fun and free pre-sale valuations at the Horsham Museum & Art Gallery, The Causeway, Horsham, RH12 1HE. Who knows, your old toys could just be your hidden treasure! A third of the seller’s commission for items seen at the event and subsequently auctioned by Toovey’s will be donated to the Friends of Horsham Museum. Sellers will receive the full amount they would normally get but they will know that they have helped the Museum as well. The toy displays at Horsham Museum have just been refurbished so there is much to delight and see as well!